That would be our new inner front door. 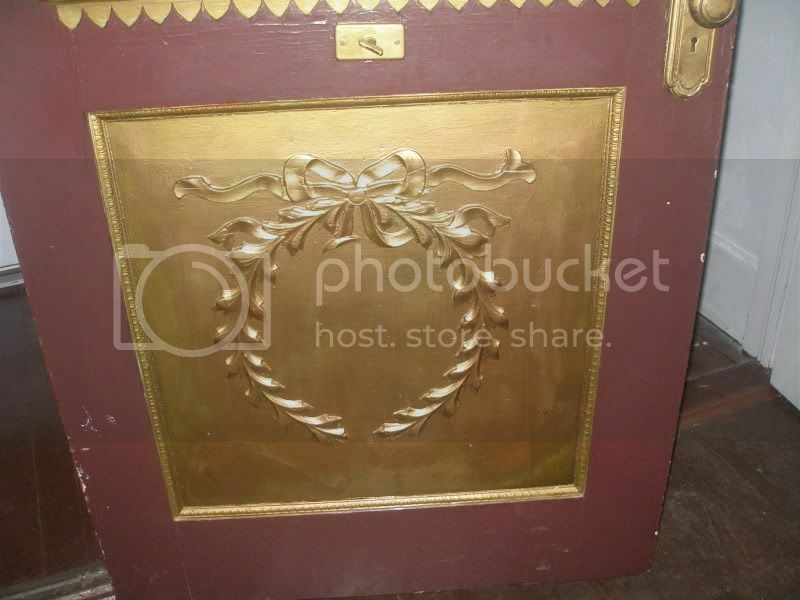 The house has two, well technically it has three, but for the purpose of this post, this is the second front door after opening the door to the foyer. It has a really cool twisty doorbell that is original to the house. My Mother-in-law actually called one of my sisters-in-law and rang the doorbell for her. It is terribly cool. 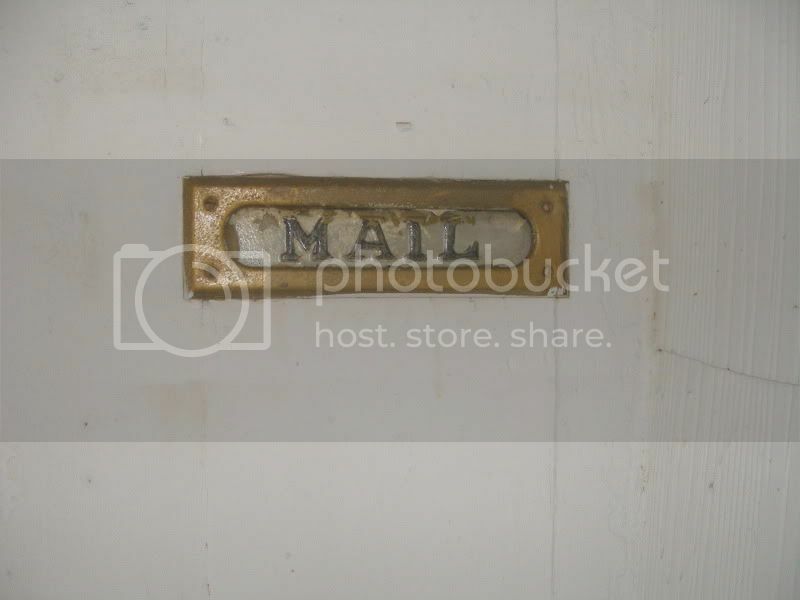 Next, we have our mail slot. It is next to the first front door. The mailman walks through the neighborhood to deliver the mail. We plan on framing this section of wallpaper so we can remember what it looked like years ago. It's very pretty. Printed on the seams is Made in the USA. There is one layer of wallpaper below this before we hit plaster but we couldn't get it to separate from this layer. Based on the age of the house, I'm guessing this to be circa 1930. Of course, all our estimates may be off. A former owner of the house said he believes it was actually built in 1890. I'm sticking to my 1901 estimate, however, since the house looks very much craftsman on the outside with Victorian influence on the inside. Good luck on the restoration! Look forward to seeing pics...if you need some wallpaper removal advice check out my blog. 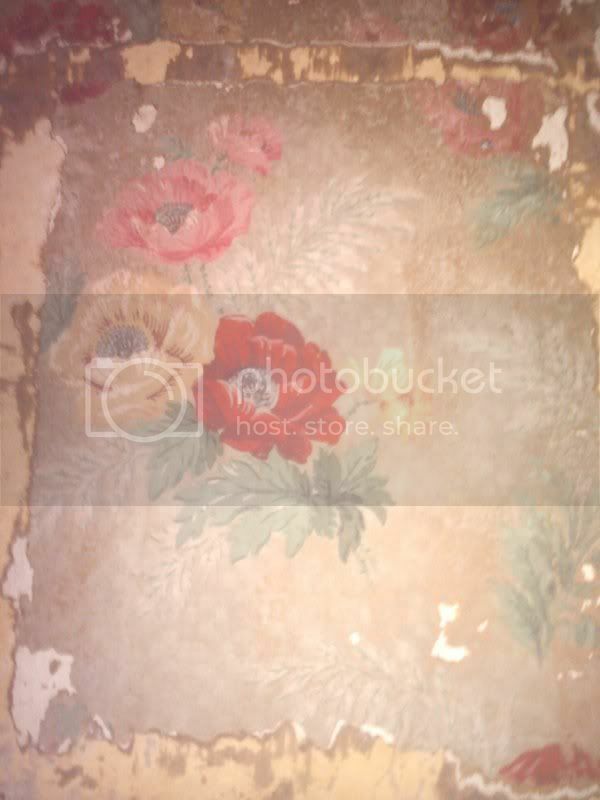 I did a series on wallpaper removal - I had it in almost every room of my 1927 Craftsman. 6 months of taking down wallpaper! I've had to remove a ton of wallpaper too. I used a wagner steamer (they're only like $100) and it works wonders on non painted wallpaper plus it take all of the wallpaper paste residue off. I've also used mine to remove self leveling compound from the original tile floors and to clean various things in the house. If you fin some metal things you want to remove the paint from, you can put them in a crock pot of water and boil the paint off. I did that and it's so much easier than chemical cleaners.